Naturopathic doctors treat all medical conditions and can provide both individual and family health care. They can work as primary care providers and as part of an integrated healthcare team. Among the most common ailments they treat are allergies, chronic pain, digestive issues, hormonal imbalances, obesity, respiratory conditions, heart disease, fertility problems, menopause, adrenal fatigue, cancer, fibromyalgia, and chronic fatigue syndrome. Naturopathic doctors can perform minor surgeries, such as removing cysts or stitching up superficial wounds, however they do not practice major surgery. They also are trained to use prescription drugs, although they emphasize less toxic substances that promote natural healing first, following the Therapeutic Order to provide the greatest benefit with the least potential for damage. For more information on the Therapeutic Order, see FAQ #2 in this service, available here. 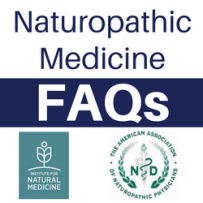 ← What Is Naturopathic Medicine?